Can diabetes make you happy? When I was diagnosed in august last year my first concern was could I go skiing again?! After exercising daily, testing my blood obsessively and plenty of trial (and some error) I’m pleased to report that diabetes has had very little impact on my ski season. The weather and snow conditions have made it frustrating at times but I’ve still managed to have some awesome experiences. 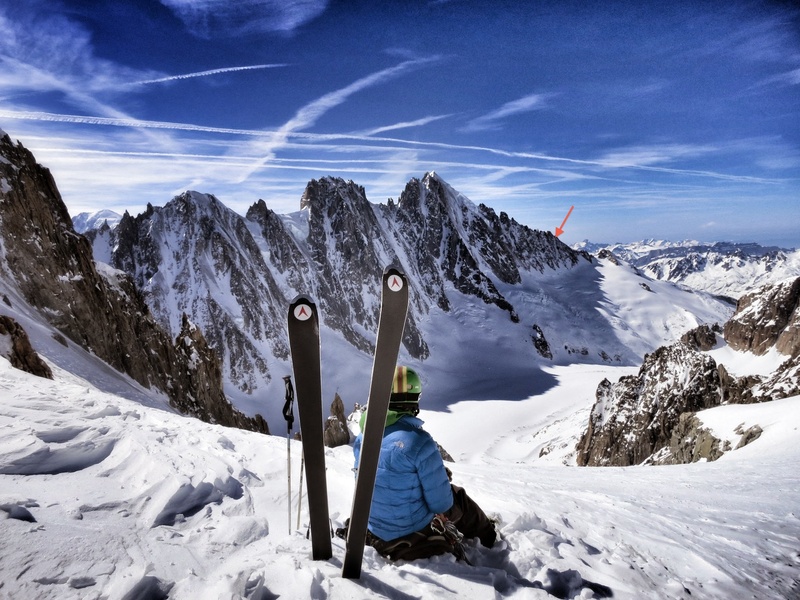 My final ski of the season was the Gigord couloir in chamonix, last week. Skiing this kind of thing is a great transferable skill for managing diabetes. I need to carry the right kit (just like a diabetic), manage risk (just like balancing the risks of low blood sugar with the long run costs of high blood sugar), and solve problems with a clear head.